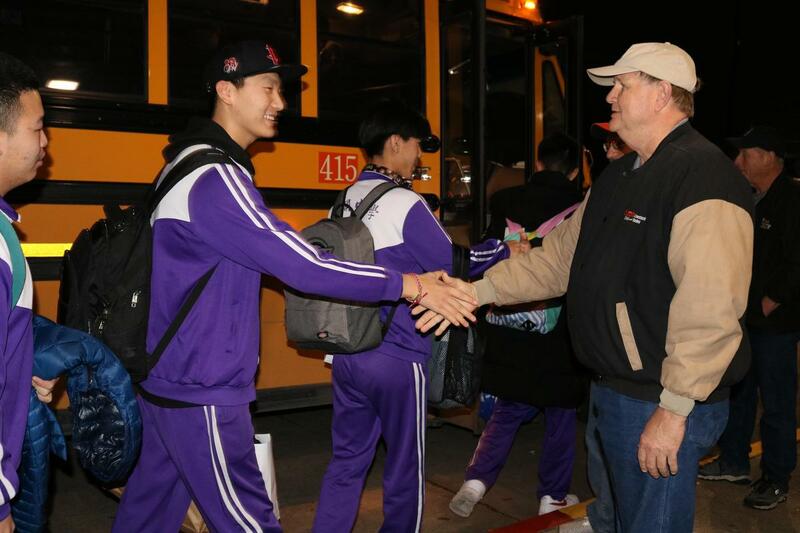 The 17 students and two teachers from the school, which is in Tianjin, China, arrived in Houston the evening of Jan. 21. They were a little quiet as they arrived at LPHS to meet their host families, but they quickly became more comfortable as they were welcomed with signs, banners and a reception in their honor. That was on Monday, and by the time the group left early Sunday, Jan. 27, there were many tears, hugs and promises to return to La Porte someday. 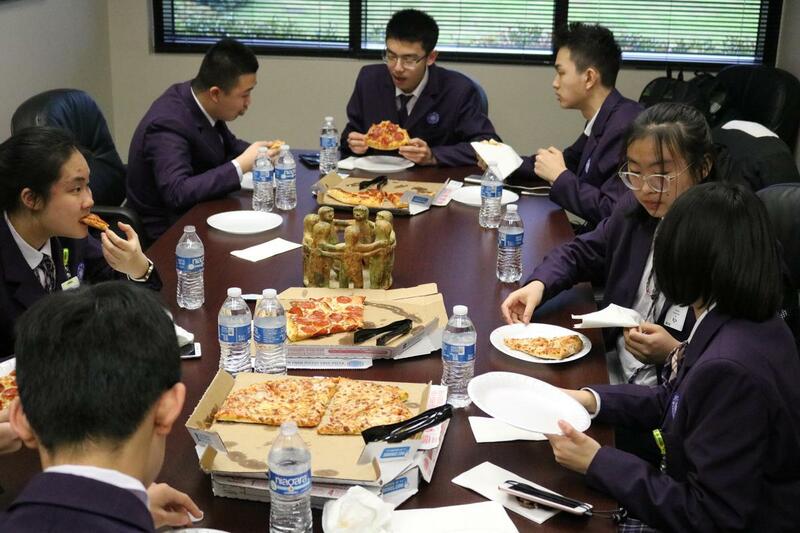 This was the 11th visit by Nankai High School students as part of the district’s global studies program, which began as a concept in 2007 and was implemented with a trip to China by La Porte High School students in March 2008. 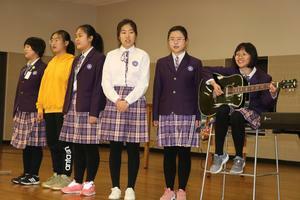 In 2009, the first group of Nankai students arrived in La Porte, and they have visited here each year since then. The program began as an initiative of the La Porte Education Foundation, which provided funding for three years as outlined in the foundation’s by-laws. During this time, a selected group of 20 LPHS students studied about China for a year and then traveled to the country as a culminating activity of their studies. In 2014, the foundation also sent three LPHS students and three staff members to Tianjin for the 110th anniversary of Nankai High School and the International Science Conference hosted there. According to Nancy Li, chairman of the Board of the U.S.-China Peoples Friendship Association, one of the highlights of the program for the students is the opportunity to stay in the homes of La Porte High School students and their families, which gives them the chance to experience life as American teenagers during their week here. Li, who coordinates the group’s visit each year, encourages the LPHS families to conduct their lives as they usually would while the students are here, giving them a chance to sample foods that are typically prepared in their homes and participate in the activities that they would normally do. “Family time” is built into the schedule that keeps students busy throughout the week. This year’s schedule included plenty of time for the visitors to attend classes with their host students and tour different program areas at LPHS. On Career Day, they joined area professionals in the career fields in which they are interested for an afternoon of “job shadowing.” Professionals from the City of La Porte, La Porte Police Department, La Porte Municipal Court, Garden of Eden Floral and Dow Chemical helped with this project, as did representatives from various La Porte ISD schools and departments. The students also went to a Houston Rockets game, Discovery Green, Rice University, the San Jacinto Monument Museum and the district’s agriculture facility. They also enjoyed the La Porte High School musical, Disney’s Newsies the Musical, in which many of their new friends participated. On Saturday, Jan. 26, a brunch was held in their honor at the La Porte High School Student Center. LPHS principal Carlin Grammer presented them with honorary diplomas and La Porte Bulldog T-shirts, and the Nankai group presented singing and dancing performances for those in attendance. Gabriella Luna, whose family hosted three students this year, spoke about her experiences over the week, as did Zhu Xiangrui from Nankai. The students also enjoyed a video presentation of photos taken throughout the week by Nankai Visit Committee member Dennis Slate and were given a copy to take home. Julie Banks, mother of LPHS senior Meredith Banks, explained that the week of hosting a Nankai student in her home was an educational one not just for the student, but for their family as well. She, Meredith and older daughter Makayla, a 2016 graduate of LPHS, enjoyed developing a relationship with Zhang Xiaomeng and her family as well. On the final night of the visit, they video-chatted with Xiaomeng’s parents as she packed for her trip home. the many activities that were planned during their stay in La Porte. traveled to Los Angeles before heading back to their hometown. through 27 as part of the district’s global studies exchange program.